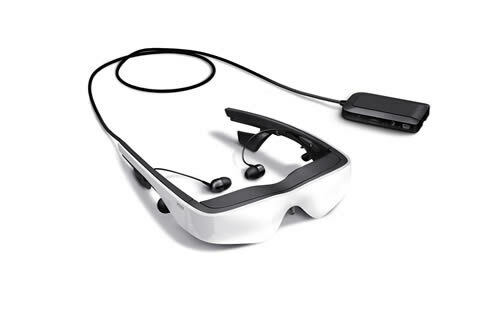 There have been a number of companies offering various types of head mounted display (or HMD) in recent years, but due to various reasons they haven’t really kept up with the pace of recent technologies, such as OLED displays or HD resolutions. Most current devices are stuck with relatively low output resolutions (640×480 in many cases) and poor screen quality, and as such are not automatically a good fit for online racing. Carl Zeiss are looking at expanding their well received ‘Cinemizer’ product line with a new HMD that is believed to use a pair of high quality OLED screens, along with proper HD resolution support. The current Cinemizer Plus already has very good integration with mobile devices (iPhone etc.) and their next product is scheduled to extend this with support for VGA and HDMI inputs. Potentially this type of HMD can support some very immersive experiences whether it be watching movies, playing games or even simulation racing. Zeiss are currently running an online survey where they are seeking interest in their new Cinemizer OLED HMD and if you have any interest at all in a new device like this I strongly encourage you participate and show what you’re looking for most. I’ve been following this product launch with a view for integrating with iRacing, so I’m eager to see what it can offer.